"A high fantasy real time strategy video game released by Blizzard, and third release of the Warcraft franchise." A high fantasy real time strategy video game that was released by Blizzard Entertainment on July 3, 2002; Warcraft III: Reign of Chaos is the second sequel to Warcraft: Orcs & Humans, and it is the third release of the Warcraft franchise set within the Warcraft fictional universe. 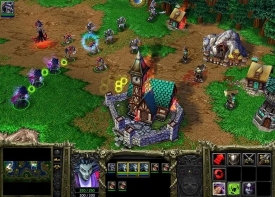 Warcraft III has four playable races: First, the Humans and the Orcs, of course, which you will recognize from the older games within the franchise and will be very familiar of these two races. They previously appeared in Warcraft I and Warcraft II, and have been since a strong part of the story in the franchise. In this installment, we are introduced to two new races: the Night Elves and the Undead, which is built up in this release of the game and is nicely tied into the storyline within the Warcraft universe. This game's single player campaign is very similar of another popular Blizzard game, StarCraft, being that all four of the game's races have their stories told in a progressive manner. The game also has a multiplayer mode that allows you to play against other players, using an Internet connection, rather than playing against the normal in game AI that is usually done in the single player mode of the game. Warcraft III, for it's time, proved to be a best seller and one of the most anticipated, popular computer video game releases having 4.5 million units shipped to retails stores and over one million units old within one month. For it's time, that was a great feat and something that many developers highly respected. 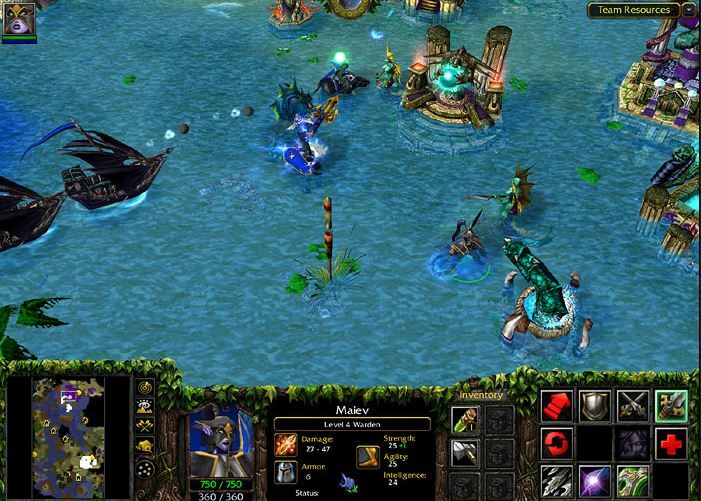 Warcraft III also has won many awards including "Game of the Year" from more than six different publications.